The Sound of Music is beyond doubt the favorite movie of my extended family. It was also the first movie to which I took my children. Along with a healthy dose of discipline from Dad, this movie inspired all my children to study music. The two boys studied piano for years. Mark, the oldest, studied piano in high school. My daughter right on through college. They have all played at least one other instrument. My youngest son, Todd, could get music out of a cucumber. They are all special singers. My daughter, Kimberly, also took voice lessons. I can get music out of the radio. THE MOVIE DIDN'T LET THE TRUTH GET IN THE WAY OF A GOOD STORY. 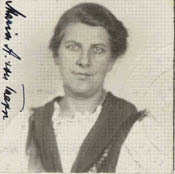 Marie Augusta Kutschera was born on a train in 1905 travelling from her families home in a village in Tyrol, to a hospital in Vienna. She was orphaned by age seven. 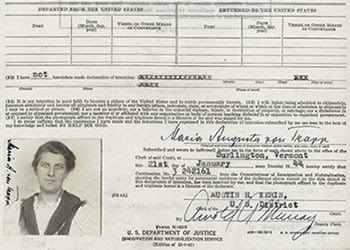 In 1923, however, She graduated from a Teacher's College at age 18. Seeing how Marie loved all seven of his children, Georg von Trapp, 25 years her senior, asked her to marry him. She did not love him. She dearly loved the children. They were married in 1927, and she eventually grew to love him also. 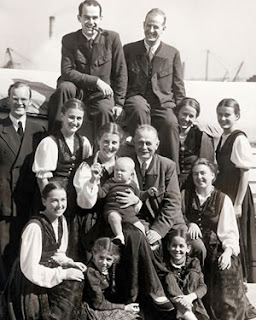 In the 1929 World Depression, the von Trapp family faced financial ruin. They moved into the top floor of their home, rented out rooms to University students, and toured as family singers. 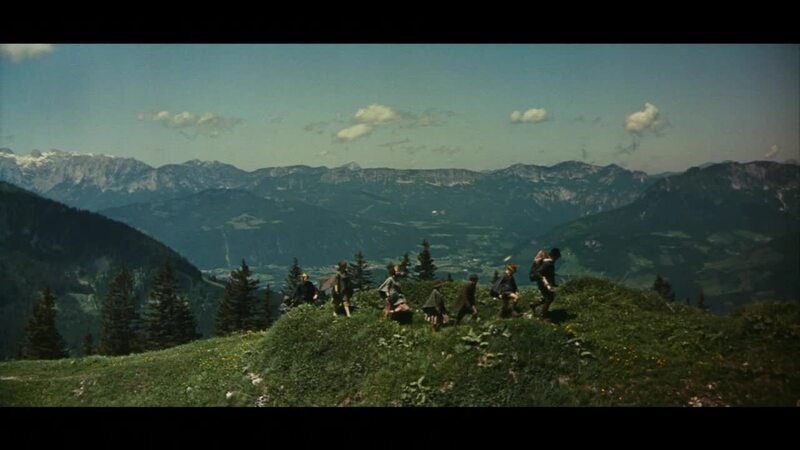 When the Nazis annexed Austria in 1938, the von Trapps knew they were in trouble. Georg refused to fly the Nazi flag on their home. (Which Himmler eventually took as his own). He refused a naval command. He refused to sing at Hitler's birthday party. Feeling they could not compromise their principles, they left their friends, family, estate and all their possessions and headed for America. The family did not secretly escape to Switzerland. They said they were going to America to sing and caught a train to Italy. The family did have a contract with an American booking agent when they left Austria. 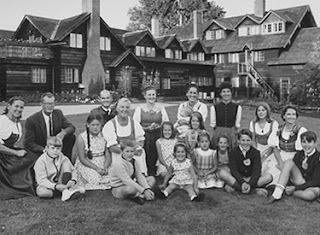 In the 1940's the von Trapp family settled on a farm in Stowe, Vermont. They had three additional children. They all became American citizens with the sons serving in the military in World War II. Georg, far from the detached, cold-blooded patriarch of the family was actually a gentle, warmhearted parent. He died in 1947. Marie, however, was far from the sweet, gentle person in the movie. She was a force to be dealt with, with angry outbursts, yelling, throwing things and slamming doors. Marie died of heart failure in 1987. Very interesting facts about the Von Trapps I had never heard before.